1000 ways to get happy! Who doesn’t love a sunny yellow sunflower? 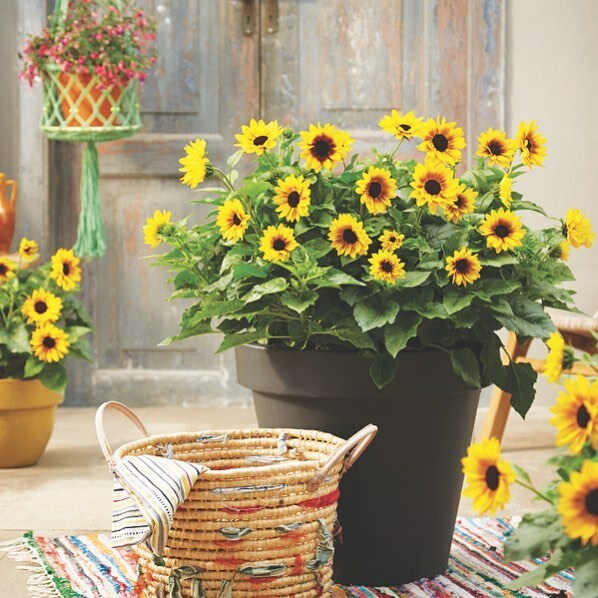 Well, how about one with extraordinary summer color with large, vibrant blooms. This heat tolerant, sterile annual produces over 1,000 flowers in a single season, throughout summer until first frost. 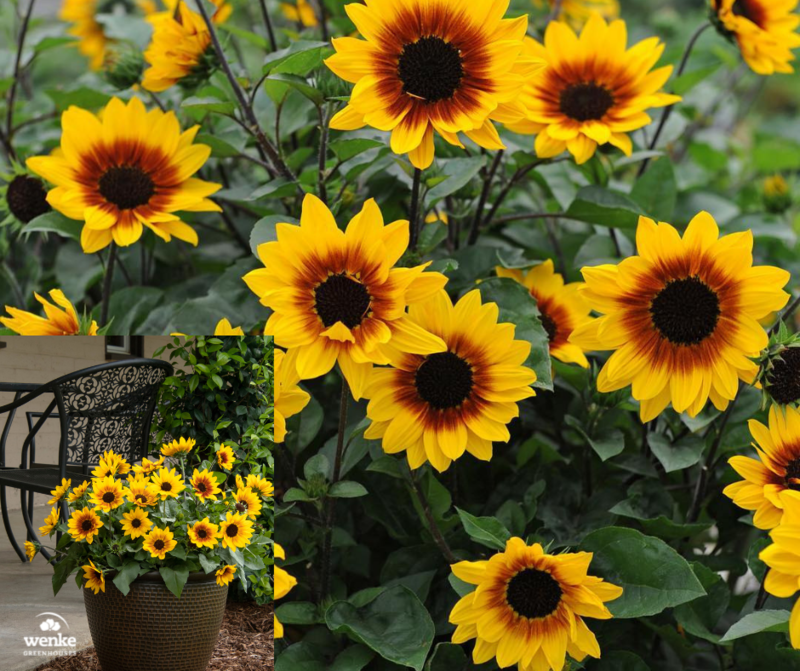 Sunny yellow petals with a dash of rich red surround the large brown center of each sensational flower. Excellent in borders and containers. It’s super easy to grow and will bounce right back if you forget to water it. Bees love this unbelievable sunflower too. Watering Needs: Water regularly – weekly, or more often in extreme heat or containers. Average Landscape Size: Full, rounded form reaches 32 in. tall, up to 40 in. wide.